I’ve never been shy about having curves. It’s my body and I’ve gotten pretty comfortable with my curves as I’ve gotten older. However, shopping for jeans can be a total nightmare for me. I’m curvy, but I’m also rather petite. Normally if I find a jean that fits my waist, it never fits my booty and NEVER fits my legs properly. Ever. 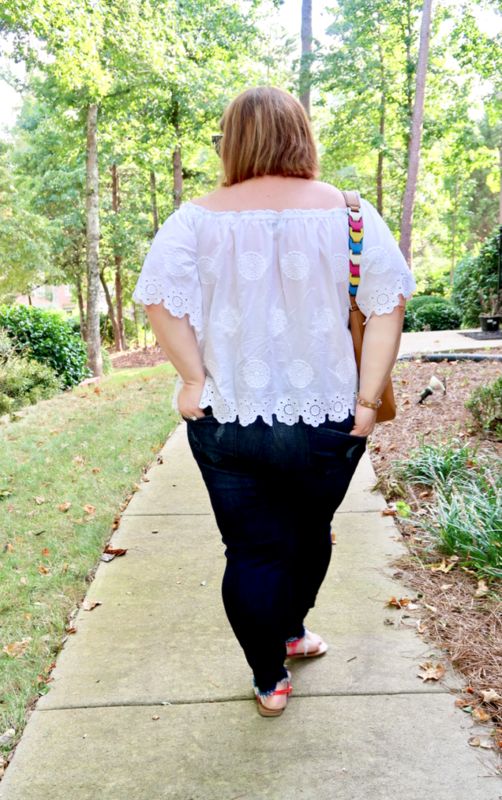 Thank goodness for #TheNewSkinny, aka the Super Stretch Skinny Jean From Lane Bryant. It’s been everything I’ve ever wanted in a jean. These jeans don’t feel like normal jeans and I mean that in the best way possible. They’re actually comfortable to wear and that’s because these jeans are made with super stretch denim. They help smooth, sculpt and look amazing on a curvy body. They fit so nicely and don’t stretch out like other jeans have a tendency to do when they’re stretchy. I’m obsessed with the fit of them! These jeans literally hug my curves and my booty thanks them for that! These have to be the best fitting jean for a woman with an actual booty. Even my husband commented on how nice they looked. The one thing I noticed was that the pockets were actually in the place pockets should hit on my back side. On some jeans, that doesn’t happen! The raw hemline is something I’m really loving at the moment. It’s nothing too much, but just enough to give the jeans a deconstructed look. When you first get the jeans, they won’t look this deconstructed, but after one wash, you’ll have the perfect look! I’ve worn these with sandals, booties and even a casual pair of Adidas. They can be worn so many different ways and I love that these can go from day to night so easily! Here, I paired them with one of my favorite Lane Bryant tops, a simple necklace, a bag to add a pop of color to go along with the sandals. 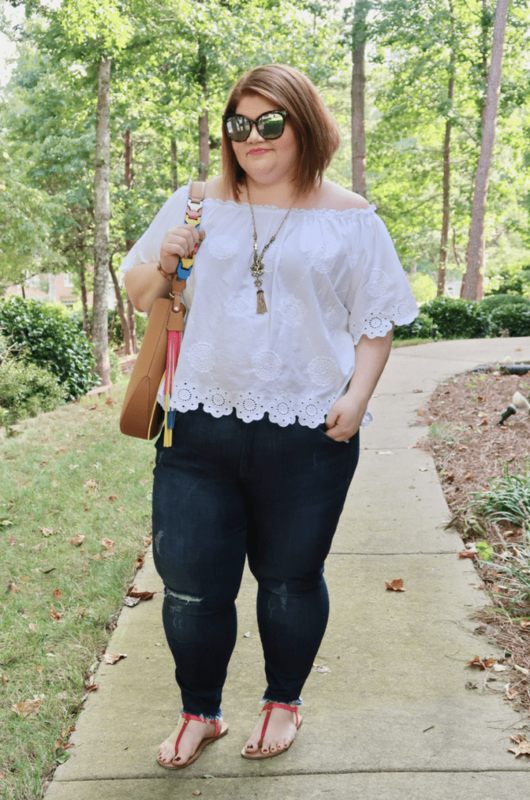 The Super Stretch Skinny Jean from Lane Bryant is a total blessing for a gal like myself. I appreciate the fact that Lane Bryant understands that being curvy doesn’t mean we can’t stay up to date on fashion trends! 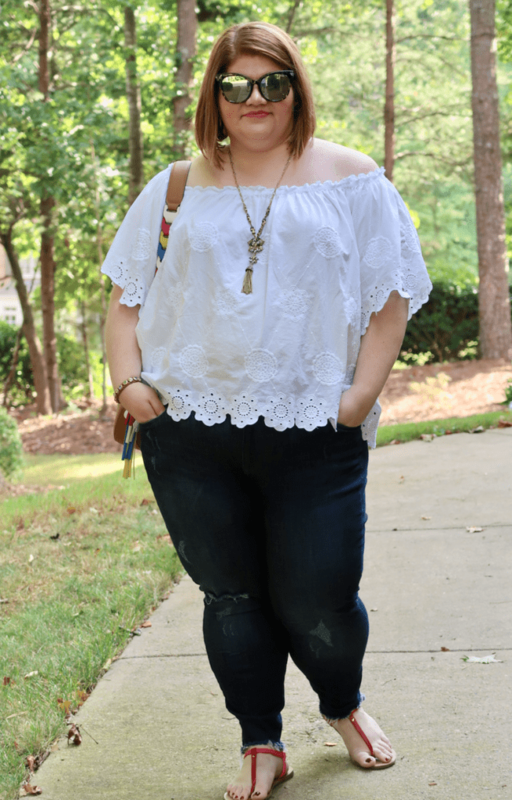 These are the best jeans that I’ve ever worn and they come in a variety of styles and sizes! I’m heading into a store to pick up a couple more pairs because these jeans are perfection! Thanks to Lane Bryant for sending me a pair of jeans to experience! All opinions are my own!